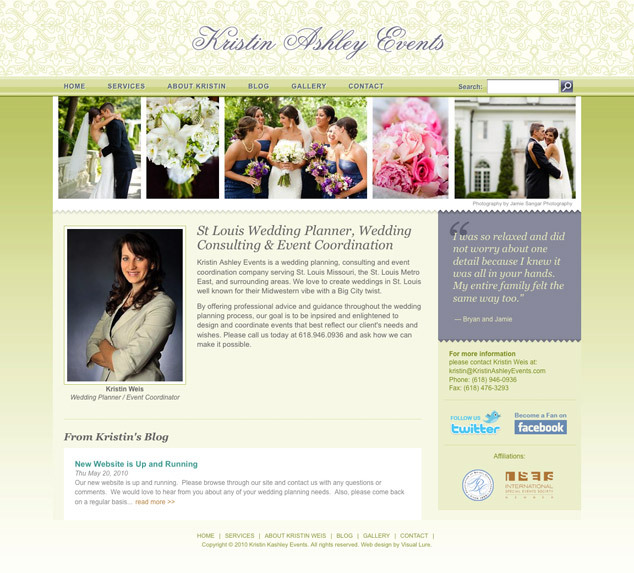 Kristin Ashley Events’ website has been launched. The website was built in WordPress which allows the client to maintain the website themselves. They can easily make text changes, add photos to their gallery, and add post in their blog, which automatically updates their home page news feed. Check it out here: www.KristinAshleyEvents.com.